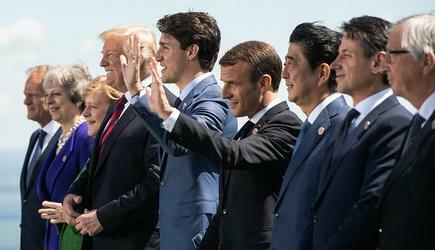 CHARLEVOIX, Quebec, Canada, June 11, 2018 (ENS) – U.S. President Donald Trump attended this year’s Group of Seven, G7, summit in Charlevoix June 8-9, but after clashing with the other G7 leaders over U.S. tariffs on steel and aluminum, Trump left the G7 meeting in a huff. 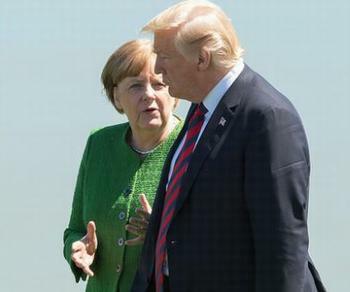 Trump stunned the world leaders in a Twitter outburst Saturday night, tweeting that he had “instructed our U.S. Reps not to endorse the Communique,” hours after all the G7 members came to agreement in Quebec and signed the summit’s joint communique. Trump’s posture means that 2018 will be the first year that the annual G7 summit fails to issue a joint communique. Instead, Canada will likely issue a chair’s summary of the meeting. The G7 consists of Canada, France, Germany, Italy, Japan, the United Kingdom, and the United States. These countries, the seven largest advanced economies in the world, represent more than 62 percent of the global net wealth (US$280 trillion). Even though there are several sections in the communique that state the position of the United States, Trump would not affix his signature to the document. The U.S. sections do provide an indication of which way the United States is headed in the future. While the other G7 members pledged to develop market-based low-carbon technologies, the United States is embracing fossil fuels, regardless of their impact on the climate. “The United States believes in the key role of energy transitions through the development of market-based clean energy technologies and the importance of technology collaboration and innovation to continue advancing economic growth and protect the environment as part of sustainable, resilient, and clean energy systems.” This section is almost identical to the one agreed by the other G7 members. In May 2016, when Barack Obama was still in the White House, the G7 pledged to end all “inefficient fossil fuel subsidies” by 2025. Every year since 2009 the G7 and G20 both have committed to phase out fossil fuel subsidies, in line with related commitments under the Sustainable Development Goals and the Paris Agreement. Now, despite lip service to that goal in the G7 communique, new research shows that with less than seven years to meet their 2025 phase-out deadline, G7 governments continue to provide substantial support for the production and use of oil, gas and coal. On average per year in 2015 and 2016 the G7 governments gave at least $81 billion in fiscal support and $20 billion in public finance, for both production and consumption of oil, gas and coal at home and overseas, finds a new analysis by four organizations working in partnership: the Overseas Development Institute, Oil Change International, the Natural Resources Defense Council and Global Subsidies Initiative. France is the G7 country most on track to ending support for fossil fuel production, while the United States is the farthest behind. Their new #G7scorecard ranks the G7 members’ progress for the first time, country by country. See it here.